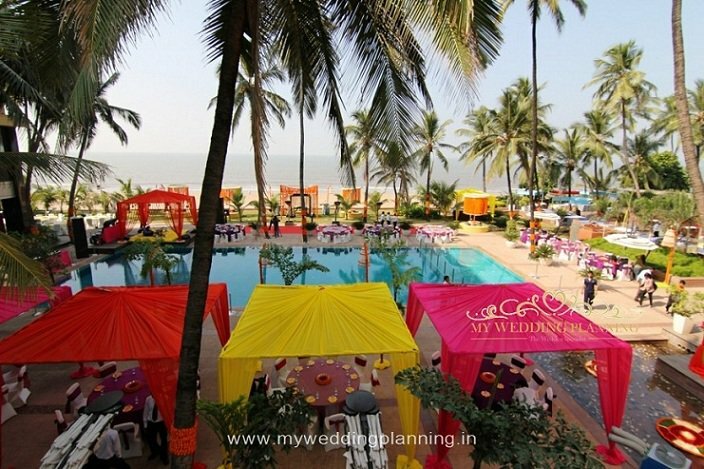 The Beach Wedding Experience in Mumbai. 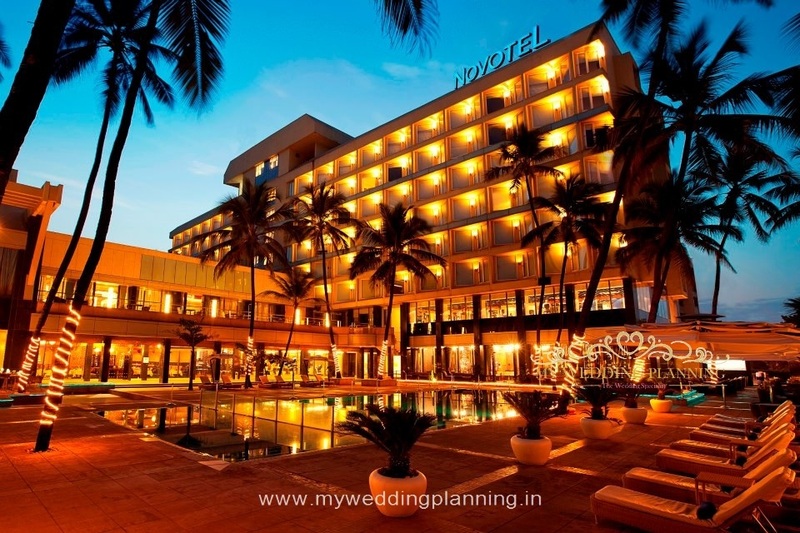 Your wedding is a reflection of your personality as a couple and for those couples who are romantic, fun, stylish, elegant, welcoming, and witty… Novotel is the perfect wedding paradise in Mumbai. 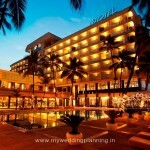 Located in the heart of up-scale Juhu and facing the azure Arabian Sea, lies the beautiful Novotel hotel. 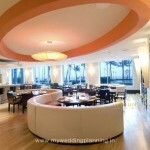 Celebrate an unforgettable wedding at this stylish and sophisticated property. 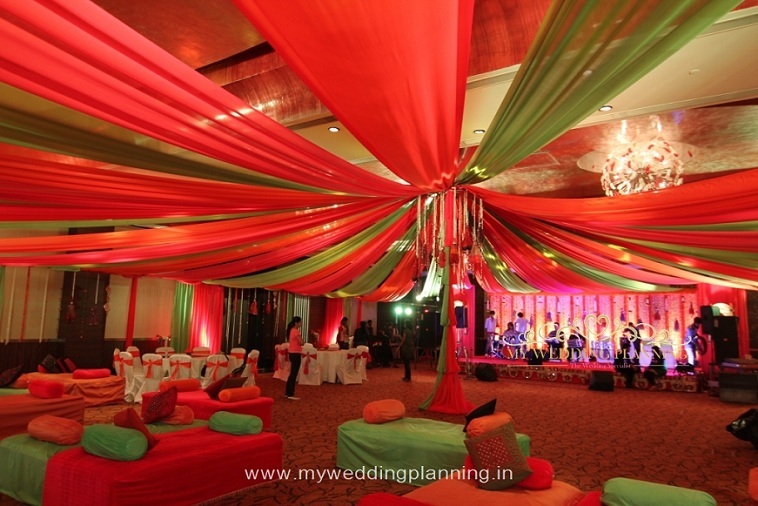 With 2 gorgeous wedding venues, delectable food and attentive service, Novotel is a popular wedding venue in Mumbai. 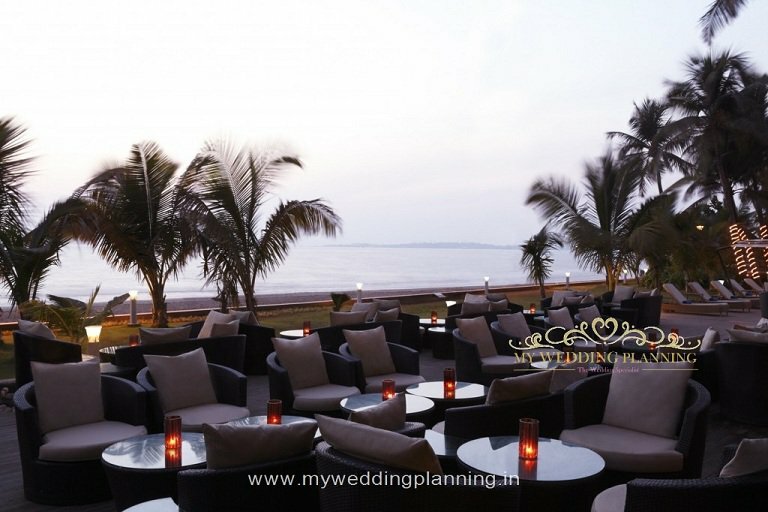 While the classy banquets at Novotel that come with a sundeck lounge and a huge pre-function area are fit for a crowd of up to 600 guests, the pool side area can do justice to big gatherings of more than 900 guests. 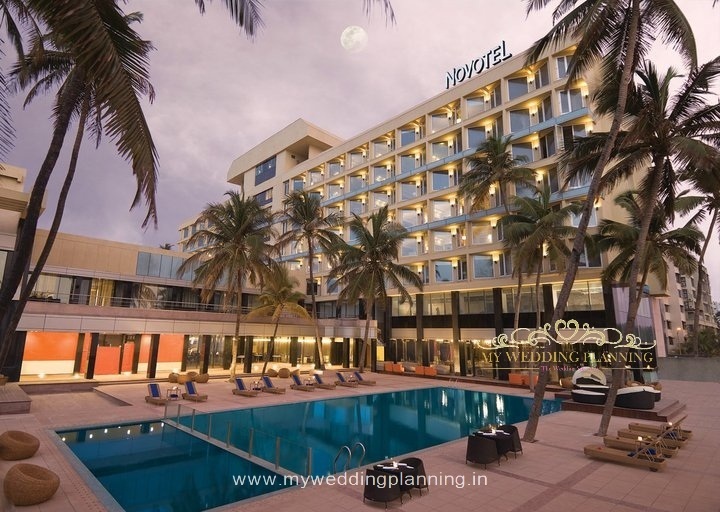 We at MWP recommend Novotel as it is one of the best properties in Mumbai with the most sought after location for couples looking for a perfect beach wedding experience. 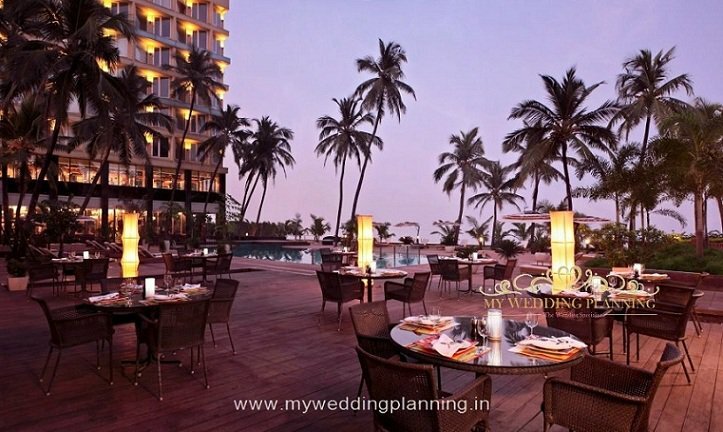 Enjoy the gorgeous sunset views from the hotel deck or any of its award winning restaurants with your spouse before you head for the festivities to follow. This 203 room hotel is very conveniently located within easy reach to airports, railway stations, local markets, and other important areas of interest in Mumbai. If you are planning on a residential wedding at Novotel, rest assured your guests will unwind from the busy city life, and feel pampered and cared for. 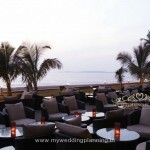 Guests can sit at the hip pool side gazing at the evening sunset and listen to the waves roaring in the sea. 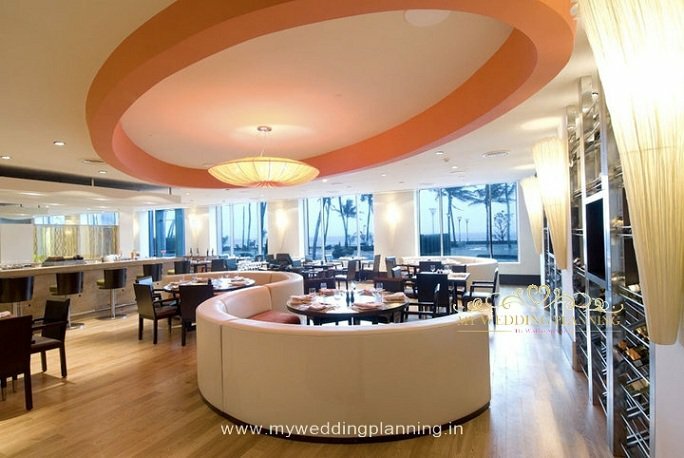 The hotel offers spectacular dining options from Chinese, Italian and Indian cuisines to a 24 hour coffee shop and a cake shop. 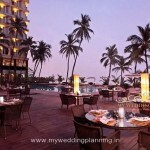 STARTING COST PER PLATE: Rs 2400 All Inclusive Plans with Rooms. 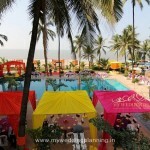 THE POOL SIDE CAN ONLY BE USED WHEN THERE IS A GUARANTEE OF MORE THAN 900 GUESTS. NO VENUE RENTAL WILL BE CHARGED SEPARATELY.